Apple announced today that the iPad will be available in U.S. stores on April 3rd and can be pre-ordered now. But I recommend holding off until reviewers can put it through its paces. As we discussed in our previous Apple iPad Why You Want/Need it or Not article, the Pad is not without its limitations. And there are still a number of unanswered questions, including whether the iPad's bright LED-backlit LCD will be comfortable for reading ebooks. If you really MUST have it, you can pre-order through Apple’s online store and pick it up in an Apple store on April 3rd (late April for 3G models). But you've lived your life this long without an iPad. What's the rush? Here’s a question for you. Do you think it would be easier to teach someone how to operate, manage, and secure a regular laptop if their needs are mostly confined to a web browser or would it be easier for them to get an iPad and be done with needing a tech savvy family member or neighbor for help? If someone’s needs are largely restricted to web browsing/email and they don’t want to/can’t manage supporting a laptop, an iPad may be a very good solution (assuming they’re not primarily visiting sites that rely on Flash, which the iPad isn’t going to support, or until HTML5 becomes more prevalent). “Older” people tend to fall into this category and the iPad may be a good option. In any case, the iPad will be a great option for many people, and I am sure that Apple will bring out improved versions quickly. Does that mean you should pre-order it? No. We would recommend holding off until we have a full chance to have it’s capabilities/limitations reviewed and any initial kinks are worked out. BTW, the advice applies to any new product - we would always recommend waiting a couple of months after release. There’s no reason not to unless you’re just going for the “wow factor” with your friends. How will the iPad connect to a printer so they can print out pictures of the grandkids? They will order the pictures online and pick them up from Wallmart or CVS. That’s what my mother does now. Operating the photo printer is too much for her. Will there be a webcam attachment so they can Skype with my kids/grandkids? If the grandparents don’t already do this with a laptop/desktop does it matter? If there is demand, Apple will add it. The only alternative this demographic has right now is to use a laptop, climb the learning curve, and continue to require the help of an “expert”. 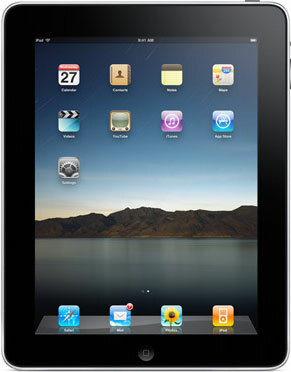 The iPad gives them power over their computing experience that no other product on the market can. It’s time to free computing from the hands of the “technorati”. I admit, I’m an early adopter so I don’t mind being on the “bleeding” edge. I guess I’m tired of reading reviews of tech products by tech people. I want reviews of tech products by non-tech people for non-tech people. That way we truly get a sense of what matters to those people versus what matters to those with technical knowledge. Looking at the price of iPad, I’m still considering should I go for it or not..